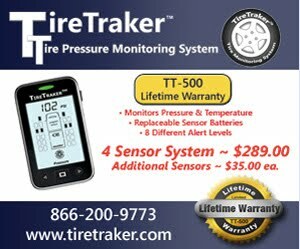 With apologies to the "French Model" guy in the TV advertisement, I want to talk about the reliability of tire related information as seen in many RV forums. I subscribe to or monitor about 10 different RV forums. I know there are more but I do have other things to do than just read RV forum posts. Many times I use the "search" function to look for threads that are about tires. It appears to me that a significant percentage of the people asking questions, have not made an effort to seek out answers already posted before they ask a question. Too often what follows are answers from other RV owners who clearly do not have a good engineering background on the topic of tires. I would like to post a few examples and point out the problems I see in both the question and answers provided by others. An owner said “I have a 1992 Ford Four Winds motor home. 29 feet, I think. What kind of air pressure would I run in the tires. I have 60-70 but have read where some run around 100. Please help me decide". Well first off the poster of the question left of much important information out of his post. What was his current tire size or the original tire size, including Load Range and what are the actual loads on the individual tires. Clearly he had not noticed in numerous other threads that there is no “rule of thumb” for providing the proper inflation other than following the vehicle tire placard information. I would not be surprised to learn that this owner doesn’t even know he has a certification sticker. What followed were 4 posts telling him the proper inflation for a motorhome, is a function of the real load and there are too many variables such as model, kind & size of tires to provide an answer. Another person replied that he should read other posts about tires and review the tire mfg “Load Charts”. Another asked for the tire loading but also mentioned the need to know the tire age by reading the DOT serial. Finally a more knowledgeable person suggested the tires need to be checked for sidewall cracking and pointed out the tire “birth date” is part of the DOT serial. As of a week later the OP has not replied with any of the requested information. I think you can see that if he had made a little effort and read a few posts, or my blog :-) he would have been able to learn the answer to his question right off. In another forum a person posted complaint about “blowout”. Here we see the picture he posted. In this close-up you can see the tread on the right side is much more worn than on the left side. This is evidence of the detachment being in the tire for many hundreds of miles. 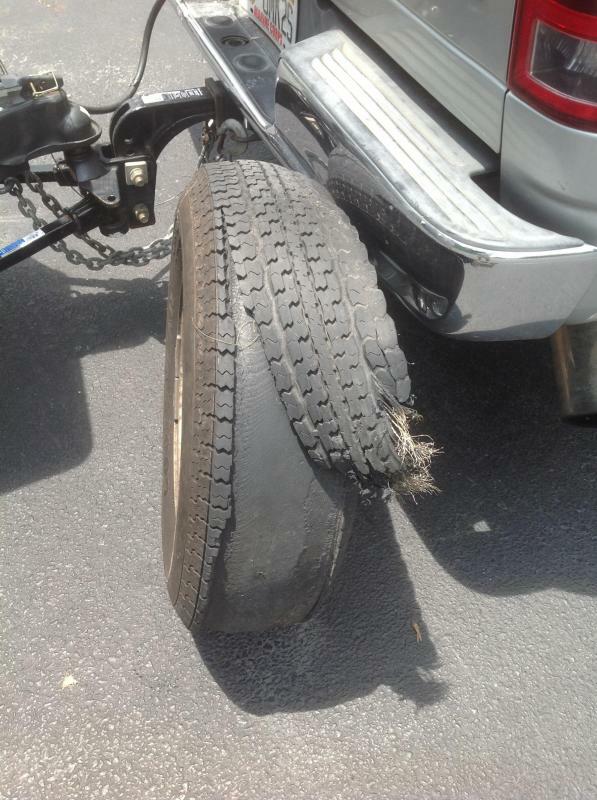 This thread has over 20 posts with lots of complaints about junk tires etc but not one properly identified that the subject tire did not have a blowout as it still held air. At that point I jumped in and provided a number of pictures of other tires showing the wear was not due to brake lock-up and the tire did not have a “blowout” but had a belt detachment and that if the tire had been more thoroughly inspected the failure and RV damage could have been avoided. I suggested that if you have an RV, especially a multi axle trailer, an in the air rotation to look for tread wobble is something I would suggest at least once a year starting at year three. This video shows what a bad tire can look like. If you have a question First spend a little time and see if the question has already been asked. Second, was the answer based on a lot of complaining and ranting or was the answer based on facts with pictures, links and hard data. Remember that just because you read it on the Internet doesn't mean the information is correct.